Buddhalicious products by Natural Selection Bath and Body have an uplifting quote with each scent. Make these positive affirmations a part of your daily ritual. 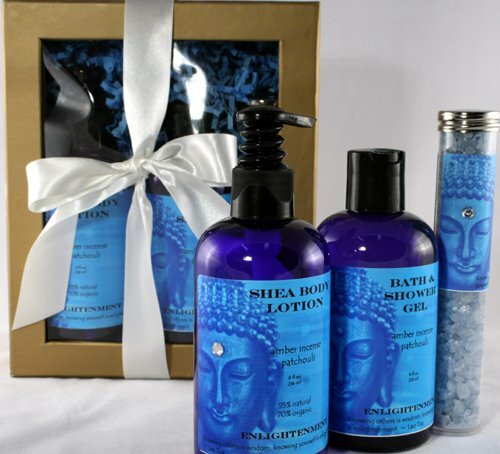 8 oz organic shea body lotion, 8 oz bubble bath and 3 oz silk bath salts packaged in a gift box. This gift set is designed to pamper the body, soothe the soul and lift the spirit. If you have any questions about this product by Natural Selection Bath and Body, contact us by completing and submitting the form below. If you are looking for a specif part number, please include it with your message.